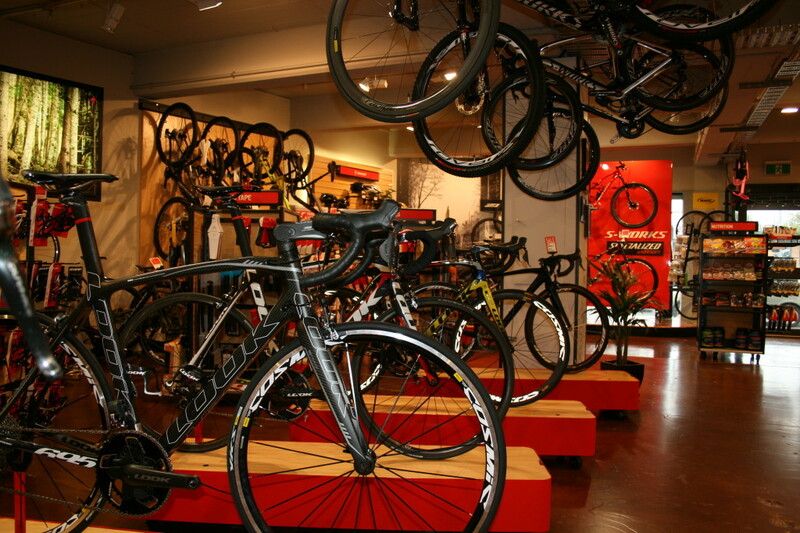 Next to one of the busiest train stations in Melbourne and within a stone’s throw of some of the most famous sports venues in Australia, including the MCG, AAMI stadium and Rod Laver Arena, is the modern and well known cycling hub, Total Rush Cycling. Established in 1997 by a veteran of the bike scene, Simon Coffin, Total Rush specialises in high-end bikes and components. 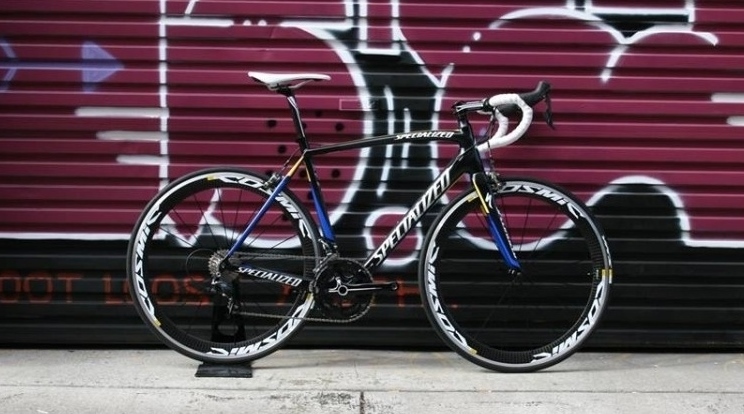 Total Rush will have no trouble fitting out anyone from your two year old daughter to your dad and with a range of brands from Specialized, Look and Colnago, they’ll do it with style. 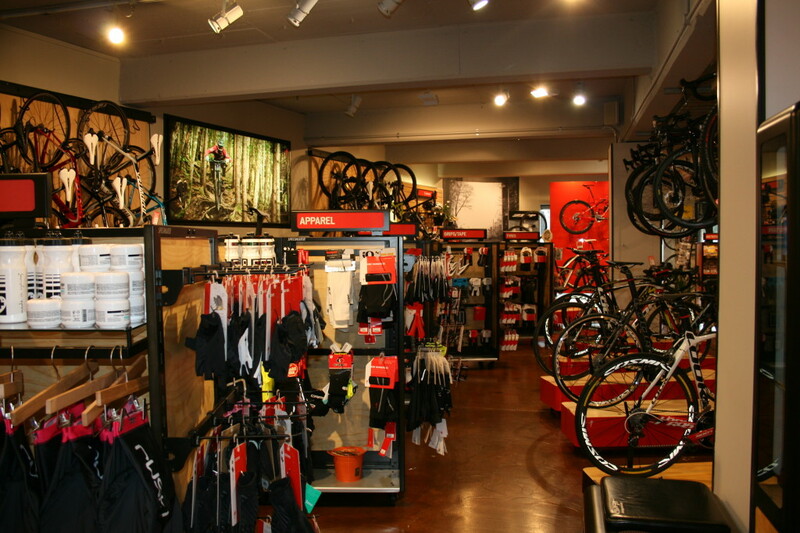 With a shop fit out that was well before it’s time and excellent branding and design, which includes a killer website (in large part due to Simon’s graphic designer wife Francine), Total Rush is a spacious and modern Mecca for bikes and gear. With awards in customer service and a mechanics team who know their stuff your bike is in safe hands with the team at Total Rush. The mechanics will do the work on your bike in a highly visible service area, leaving you confident you’ll get a stellar job done on your bike while also building trust and integrity with their customers. As I nursed a coffee at the long communal table in the cafe that fills a large corner of the shop floor, I took in the Total Rush morning scene. 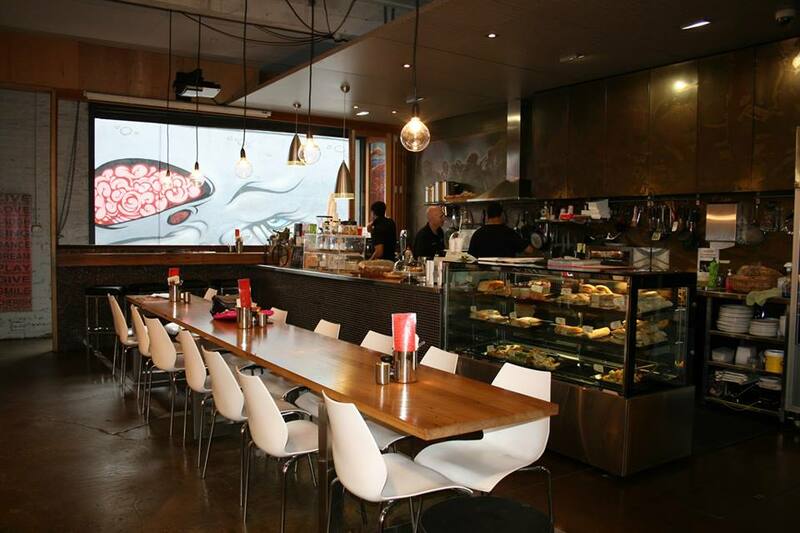 It became clear that Total Rush in Richmond are on to a winning formula and have clearly distinguished themselves from the bike shops of old who fail to give the customer options and create a vibe you want to be a part of. Sitting next to me on each side are corporates, suited and booted and conducting business that looks like it has more to do with mergers and acquisitions than watts and heart rates. I’m sure though that simply by the power of osmosis there’s quite a few customers who come in for coffee and a quick lunch and end up finding themselves kitted up from shoes to helmet and everything in between. If you’re a Melbourne local you’ll be well aware that the Total Rush kit is bright pink, and I just had to ask about the history and choice of colour. It turns out that originally there were two kits: Blue for boys and pink for girls. However, when Simon and Francine noticed how much the colour blue gets caught up in the pack when shot from the air – such as in the Tour de France, they decided to trash the blue and keep the pink. It was an intelligent and inspired choice because that pink kit is now synonymous with the Total Rush Cycling brand. Simon Coffin started out motorbike racing and BMX riding before hitting the top 10 in downhill mountain bike racing and heading to the world championships. He’s been in the cycling shop business for longer than he hasn’t, and now has 3 shops under his belt with Total Rush the flagship store. 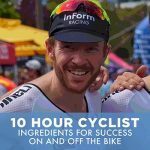 It’s Simon’s experience, passion and knowledge as well as his decades of expertise that go into making sure that you can walk in the door with a general idea about what it is you’re looking for and walk out with a result that’s going to get you riding better, faster, and looking cooler than the rest. “The thing with bikes is that riding is addictive and with road riding you’re only as good as you put in”. Simon is a bit of a philanthropist when it comes to his role in the cycling community, donating a hefty whack each year to the support of the National Road Series, women in cycling and the community in general. As I left Total Rush Cycling, a quote from Simon was ringing in my ear that made me want to make the 15km journey from my home suburb to get my bike looked after at Total Rush Cycling. “We like to sell a relationship and a community and as human beings that’s what matters”. Yep, “The Total Package” indeed!